Three Central Reserve Police Force (CRPF) personnel were decorated posthumously with the top category President’s Police Medal for Gallantry (PPMG). New Delhi: On this year’s Republic Day, a total of 855 police personnel have been chosen for medals. President’s Police Medal for Gallantry (PPMG) has been awarded to three personnel, Police Medals for Gallantry have been awarded to 146 personnel, President’s Police Medals for Distinguished Service to 74 personnel and Police Medal for Meritorious Service to 632 personnel. Three Central Reserve Police Force (CRPF) personnel were decorated posthumously with the top category PPMG. 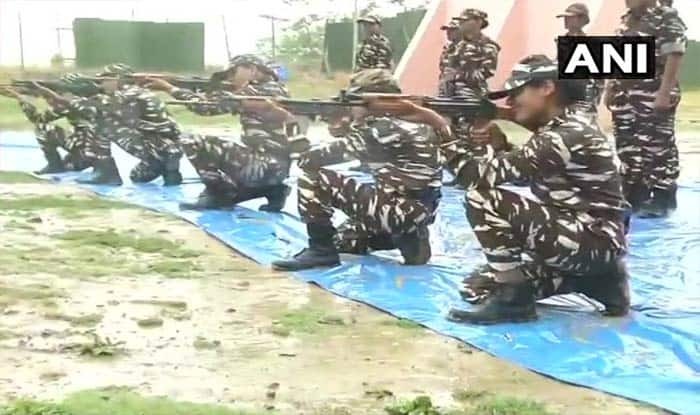 Among the other personnel receiving the Police Medals for Gallantry are 13 from Meghalaya, ten from Uttar Pradesh, eight from BSF, four from Delhi, three from Jharkhand and one each from Assam Rifles and ITBP. The President has also approved the conferment of Jeevan Raksha Padak Series of Awards on 48 persons. This comprises eight Sarvottam Jeevan Raksha Padak awardees, 15 Uttam Jeevan Raksha Padak awardees and 25 Jeevan Raksha Padak awardees. All Sarvottam Jeevan Raksha Padaks have been conferred posthumously. This series of awards is given to someone who saved another life. Meanwhile, the chief guest for this year’s Republic Day parade, President of South Africa Cyril Ramaphosa, was accorded ‘guard of honour’ at Rashtrapati Bhavan on Friday morning. Following that, Ramaphosa also paid floral tributes to Mahatma Gandhi at Rajghat. In his first visit to India as the head of the state, Ramaphosa is reportedly accompanied by nine ministers and a 50-member business delegation. He is also the second South African president, after late Nelson Mandela, to be the chief guest at the Republic Day parade.